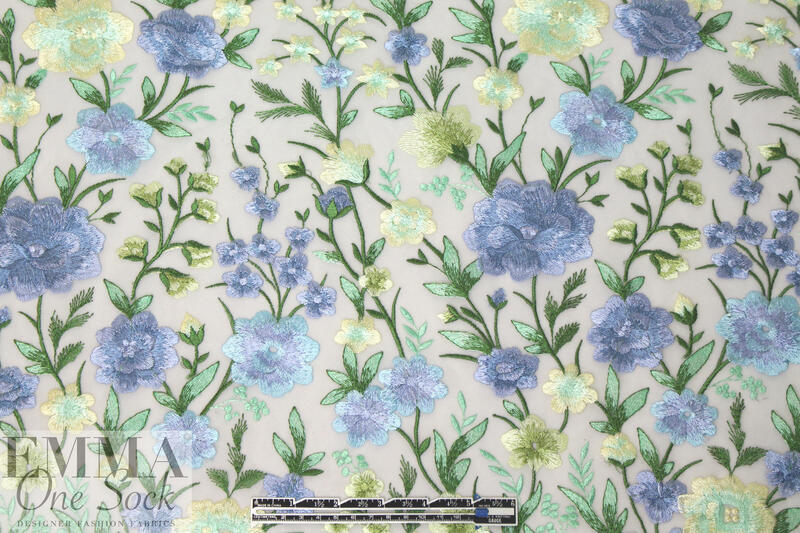 This is an exquisite embroidered mesh, a delicate and summery flower design embroidered on a sheer butter-toned mesh ground (PANTONE 11-0107-ish). The pattern lays from selvage to selvage as shown in the bottom photo, so the closeup shows the fabric turned, while others show it as it comes off the roll. 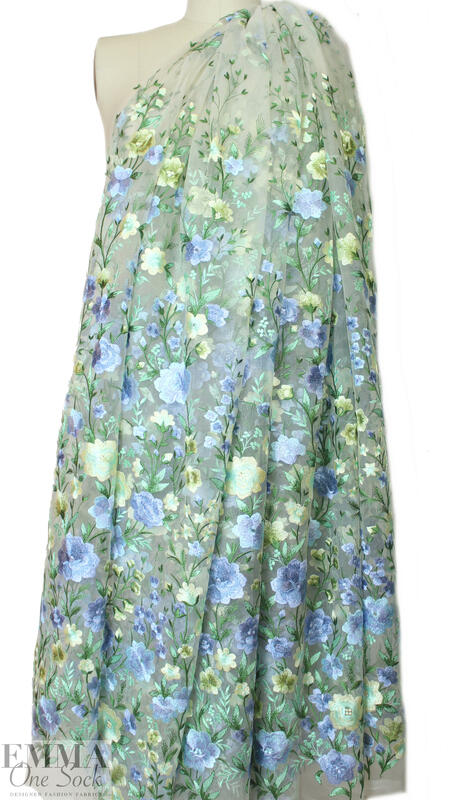 You will probably want to cut your garment across the width so that the floral pattern lays vertically on your garment. 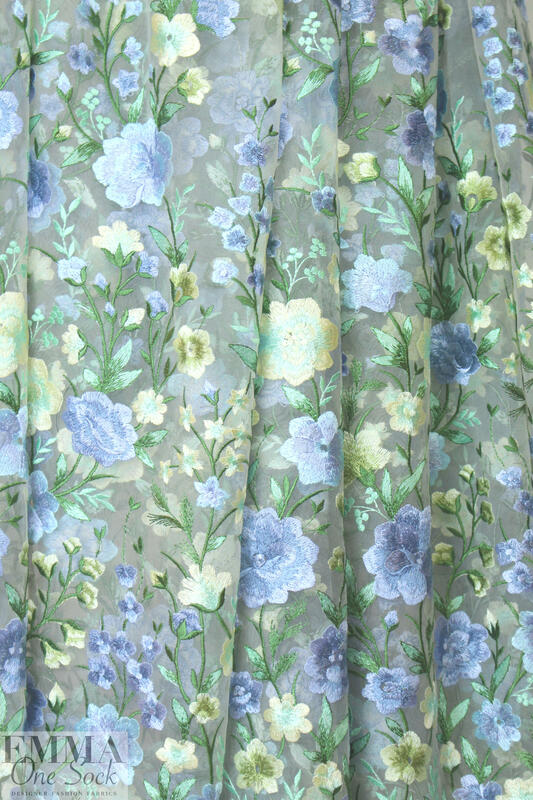 It has a flowing, soft drape with a bit of body. The glorious colors include shades of blue, yellow and green (PANTONE 14-4121, 16-6329, 11-0618, etc.). 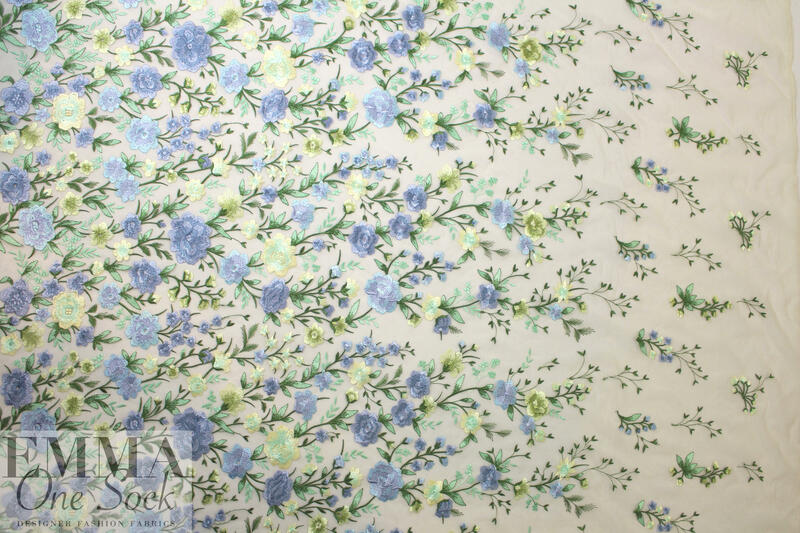 Use as an overlay for a gorgeous special occasion blouse, tunic, top, dress, gown, shawl, etc. Hand wash and hang to dry, or dry clean.